My house is a single family tri level built in the late 1980's in northern Illinois. My lower level (even with the ground) is slab on ground and is where we spend most of our time. The family room with wood fireplace, laundry room, office, 3rd full bath, front and rear doors. My house is a fairly open floor plan with the 13'x 24' family room flowing into the kitchen on the mid level (3 steps up). In the winter (25* and less) the carpeted floor is cool to the touch and the lower level is a good 5*-10* colder than the mid level of the house. I have 2 forced air gas furnaces now (one for the top level, and one does the lower/ mid levels). 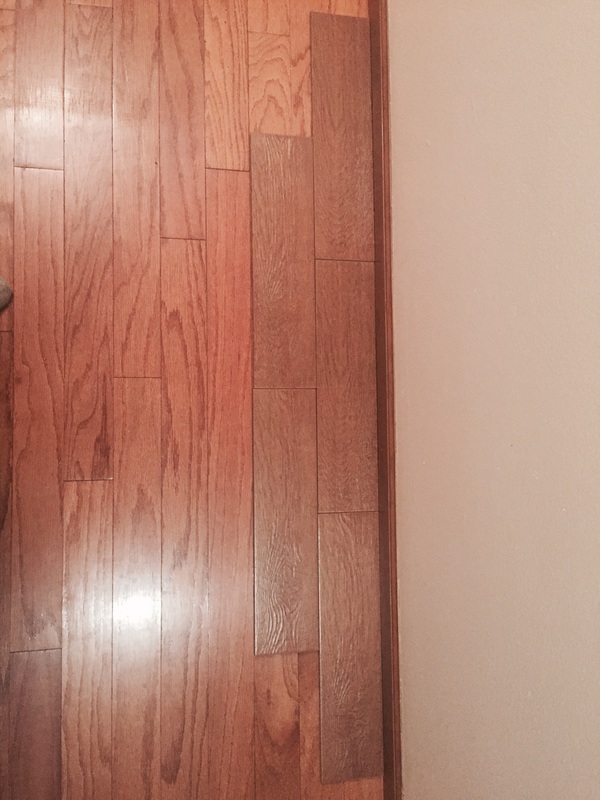 I want to eliminate the carpet on my lower level and go with tile which will make this cold floor issue even worse. I am not looking to raise the temp of the room as much as make the floor warmer. I am a plumber and will be doing all the work myself even though I have not done much heating work. I have started looking into installing radiant heat under the tile but would rather not tear up the existing slab. Loosing Height is wanted to be kept at a minimum (as always lol). I was liking the Roth panels, but I cannot find it for less than $6/ ft, and with having almost 700 square ft thats a bit too expensive for me. I have another issue as well which made me look at a composite solution, while I am not in a flood plain the river is about 1/4 mile from me and 3 times since the house was built the river has come up to say hi. 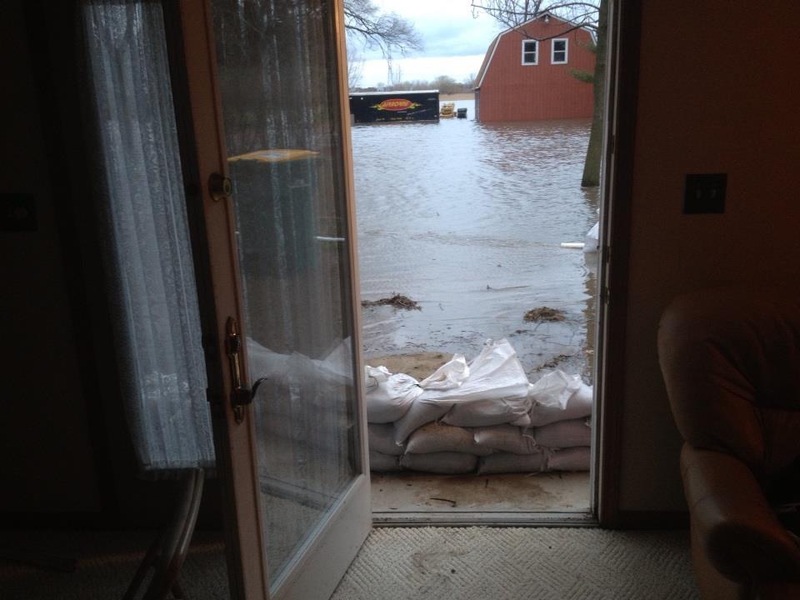 The last time was 2013 (a month after I bought the house) and if I had not sand bagged the house I would of had about ankle deep water on this level. 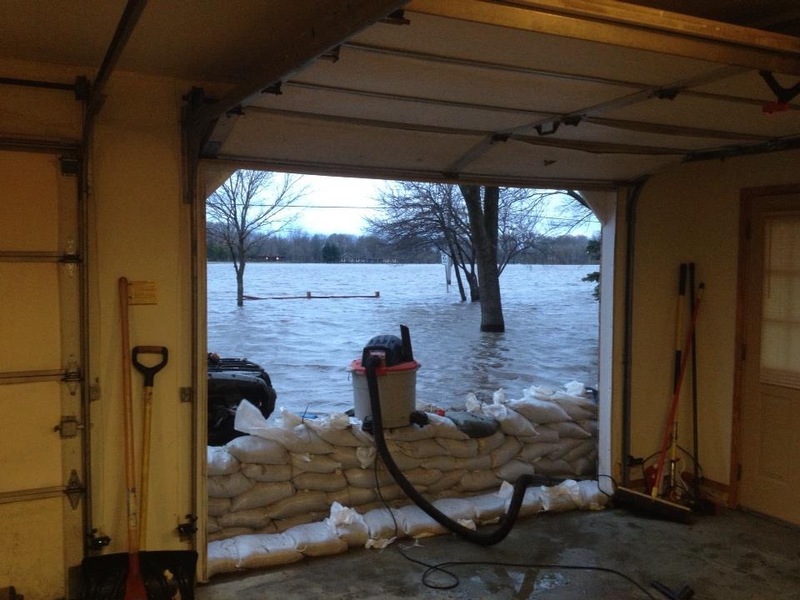 I plan on installing a more permanent flood defense solution than sand bags, but need to keep in mind that things happen and only want to do the floor once if I can. What is my best / cost effective solution? I will assume your slab on grade is not insulated. What is the maximum head room you are willing to sacrifice? Really can't beat the Roth panel performance with built in insulation, and aluminum conductive surface. You could do xps, and sun board product, or warmboard r.
Since this is floor warming only you have options. There really is no substitute for a warm basement floor, especially if you spend much time down there. True, it will not be as efficient as a well insulated below, slab job, and of course, as such, operating costs will be somewhat higher. If you want warm, comfortable floors it could still be worth the time and money. If you have time, tools, and some basic carpentry skills you can site build systems a number of ways, and maybe save some bucks. You can buy a lot of PT plywood for $4200.00 bucks. You would need about 22 sheets of treated plywood. Glue and screw it down router some grooves, add some transfer plates, tube and floating flooring. Maybe give up around 1" or a bit more. Is the choice of finish floor ceramic tile, or vinyl tile? If ceramic I would never consider a plywood substrate in an area that could see flooding. Treated plywood, or not. You could not fasten it enough to keep it from buckling, and destroying a ceramic surface. The only thing the plywood could give is some r value less than r1. I would do fan fold insulation r 1 with 1/4" thickness. 1/2" cement board sleepers tapcon to concrete. Plates, and tubing tapcon down. Then final layer of 1/4" cement board tapcon to concrete. Thin set tile down. Rock solid floor with a thermal break that can get wet all day long, and never move. With a build up of 1 3/8". Honestly I don't think you would need to get crazy tapconing plates down the 1/4" cement board would hold the plates. Actually cement board is not as conductive as concrete. A bit more work. A little more than plywood sleepers. A lot cheaper than Roth, but guaranteed effective performance. Wow Gordy, I think that is the outside the box idea I'm looking for... What plates do you suggest? I do also like the SunFoam pex panel from Sunboard you suggested. I am going to get a price on that because it would save a bunch of labor cutting the sleepers and drilling 5,000 tapcons lol. I am going with ceramic tile. The SunFoam is the way to go . You would need about 88 boards and 1760 fasteners . 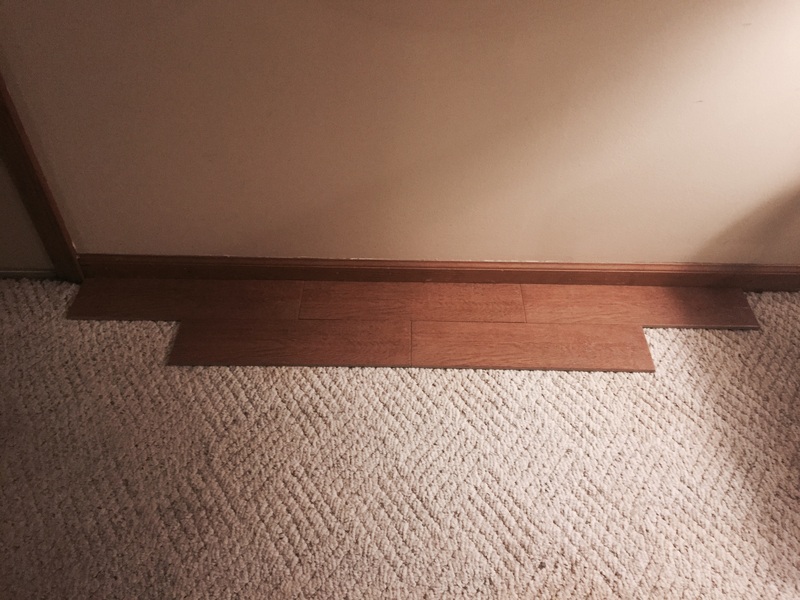 1/4" hardibacker over that , thin set and tile puts you at 1 1/2 " finish floor height . Nothing ever to replace should it wet . Wood fastened to concrete is never a good idea as you will have warm surface in contact with cold surface and we know what that causes . I would also fasten through the hardibacker and foam with one fastener of sufficient length as opposed to fastening SunFoam and then hardibacker . Cement board when thoroughly wetted can and will absorb quite a bit of moisture and degrade . Surface moisture is a completely different animal than submersion . Pressure treated wood is used all the time in contact with concrete, pretty much any slab or concrete foundation home built in the last 30 years has PT wood, as required by code. But if you have the $$ one of the systems designed for radiant is best. Tile goes over plywood glued to slabs just fine with a 1/4 hardibacker added, you would not glue tile to plywood, of course. Sure sunboard is deffinetly a better choice. Always alternatives though. If dollars are an issue you have to pick the best alternative for the budget. Hardi backer is not as degrading in moisture environment as some would believe. Fan fold would alleviate the condensation . I would refrain from any wood in the assembly. If this happens. My concern is not whether pt plywood will rot, or absorb water. My concern is it will absorb water, and bubble/ delaminate. Most pt lumber is of pine, or southern yellow pine species. When it drys out from pressure treatment it gets squirrelly do to the species. If it gets saturated again it gets worse. No amount of gluing or fastening will prevent delamination, or buckling. Of a 5 ply variety of plywood. Yes cement board will absorb water, but will not buckle. It will dry out in such an event. Tile is porous, and will allow water to escape also. Walls are one thing to repair compared to a whole floor assembly..
Another option is a DS mix over pour with a super plastisizer additive of an 1 1/2" then tile. That build up would be 1 7/8". Or you could just do radiant ceilings. Or move to higher ground. I'm in SW Missouri, sights like that are a yearly occurrence, and becoming more common, unfortunately. 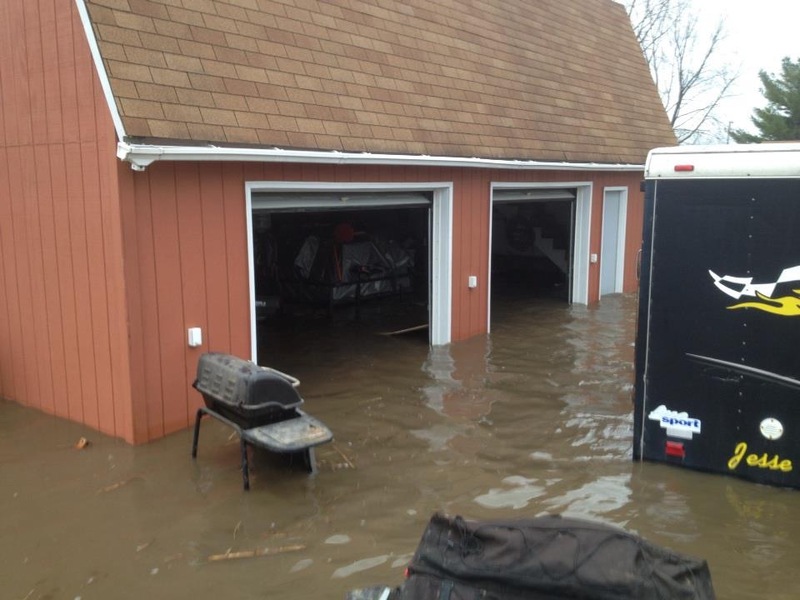 Flood insurance is no longer available, only the Federal program. Are you in a flood plain? Does your mortgage holder require the Federal flood insurance? No Hot Rod this is kinda my dream house (for now). I plan on doing some retaining walls and such to help create a perimeter that will make defending against floods easier (still in the planning stages). 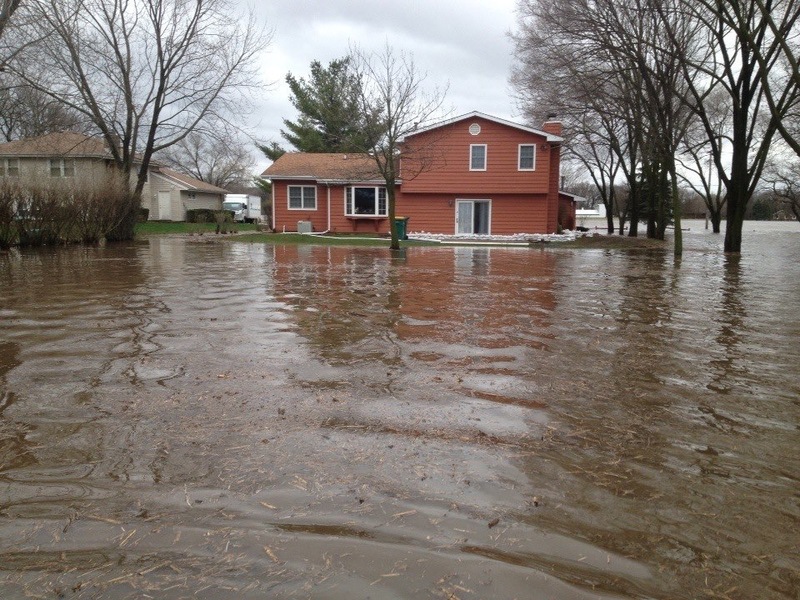 My house is above the 100 year flood plain and I am not required to have flood insurance. I am also looking into this. FEMA helped me out back in 2013 with my one a/c condenser that was flooded (only damage to my house). What is the better choice for underlayment Durock or Hardibacker? Also one the returns there is going to be a large gap because I don't want to cut curved pieces of underlayment, can I just fill it in with mortar and float to the same level as the Durock? I bought my tile today. It was on clearence for $.96 sq ft at my local Floor and Decor! My knees ache looking at it. Use permabase for first layer for sleepers. Any board that is 90% Portland, and sand. I would say hardibacker 500 except it's .42 thick you need 1/2" you will have to use 3/8" pex its od is .500 Then top it with 1/4" hardibacker. Use thinset for the radius, and I would mud the tube runs too. Straight thinset don't need modified until tile laying. You'll need straight thinset to tape joints on second layer. I would not get crazy fastening first layer of sleepers as second layer will be fastend through that layer also. Use 1/4" tapcons flat head with 3/16" hammer drill bit. Looking at 93 sheets total at 10 bucks a pop. Ya my knees hurt already as well, but I've cut Durock before, and I sure don't look forward to cutting 45 sheets into sleeper strips... But it's WAY cheaper than any of the premade systems. I would opt for the radiant ceiling also. This puts the potential for damaging the heating part of the basement out of harms way and no longer a concern.